Individually handmade and finished at his woodland workshop in Cornwall, Tom Raffield’s Wheal collection is a beautiful addition to your interior. 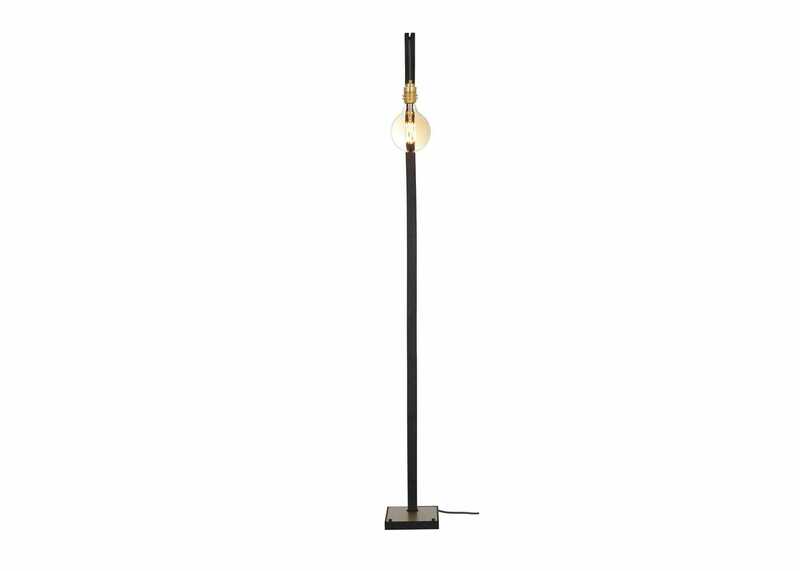 Crafted from one piece of steam-bent oak wood the Noctis Wheal floor lamp has a length of twisted, braided flex that has been threaded up and over the ebonised arm from which a simple bare bulb hangs from. 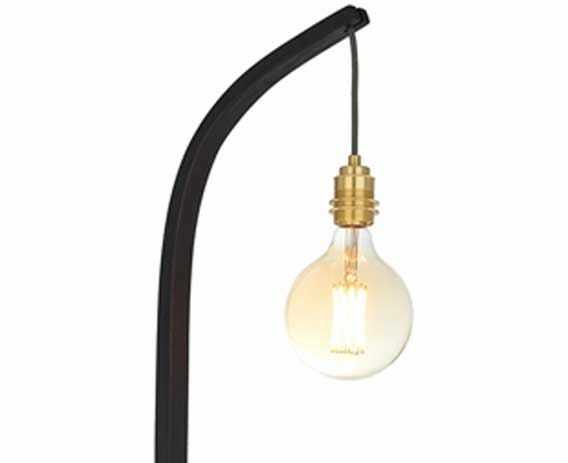 The acute bend in the stem helps to position the light at just the right height for reading or illuminating specific spaces in your home. 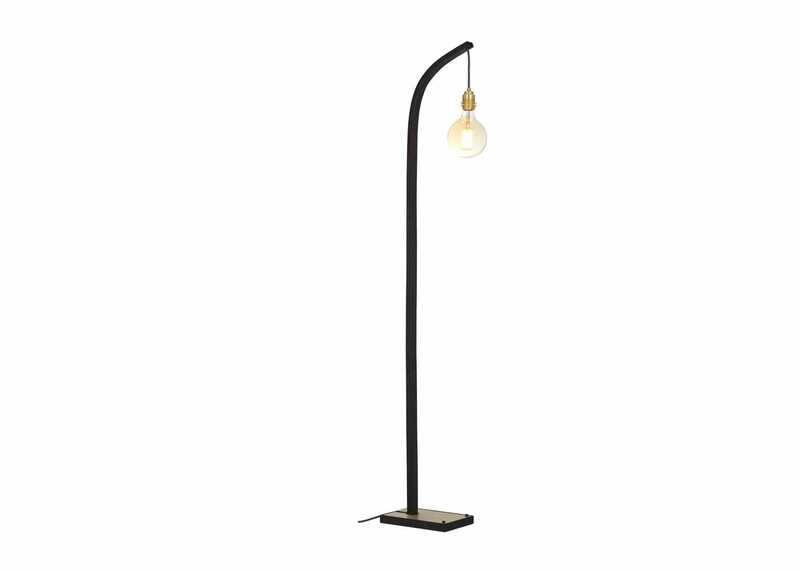 Matched against a solid brass base, the Wheal floor lamp has been re-invented against a noir palette. Dark colour pigment created through the natural process of ebonising wood. Polish brass fittings contrast against the ebonised oak.